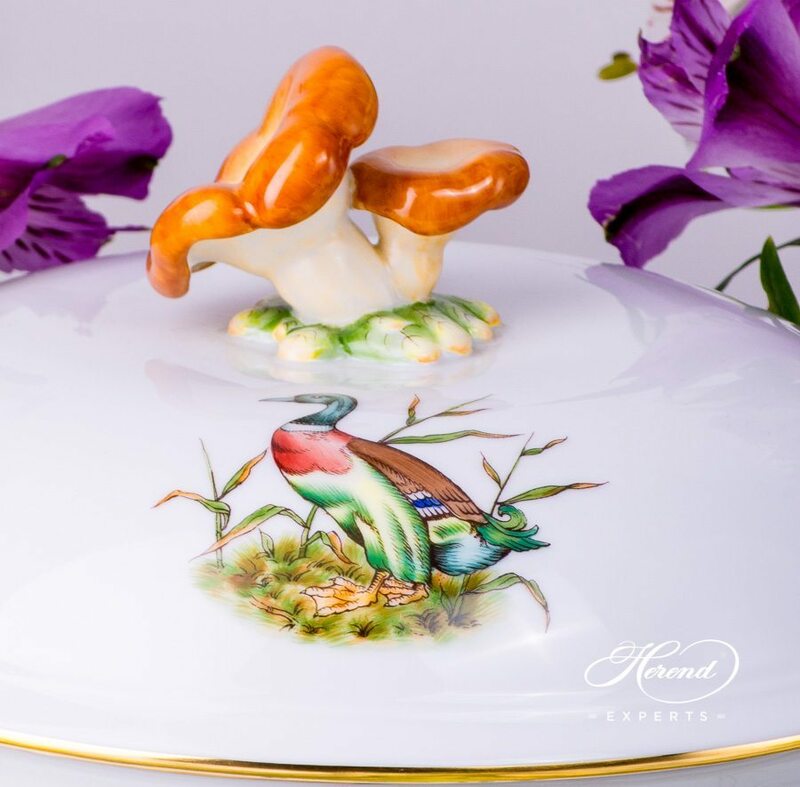 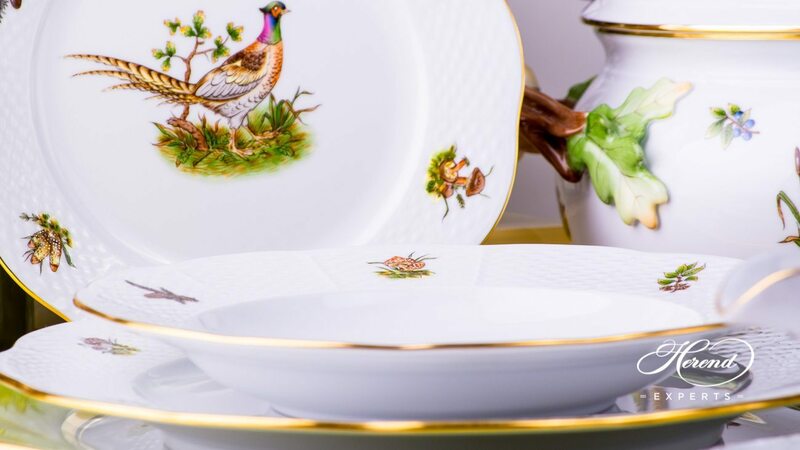 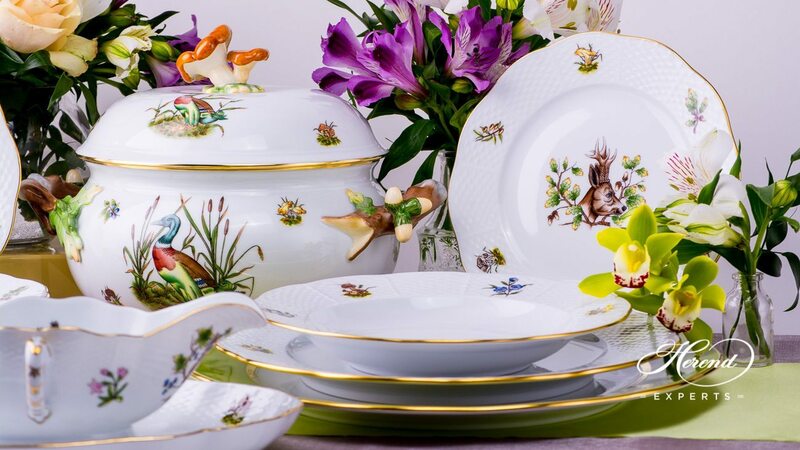 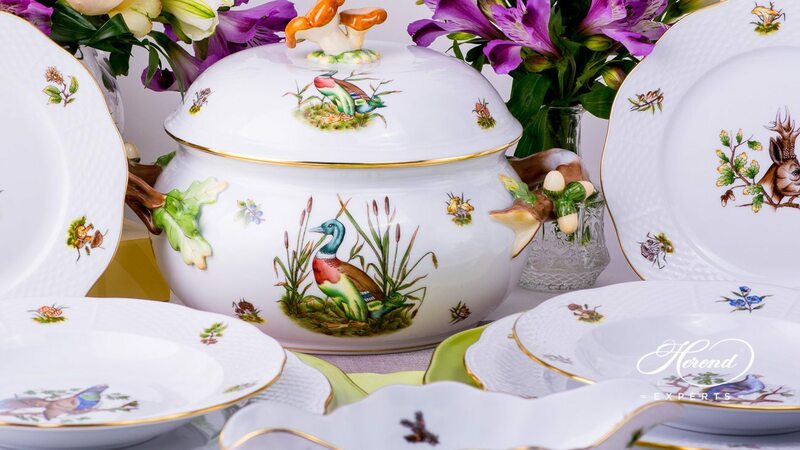 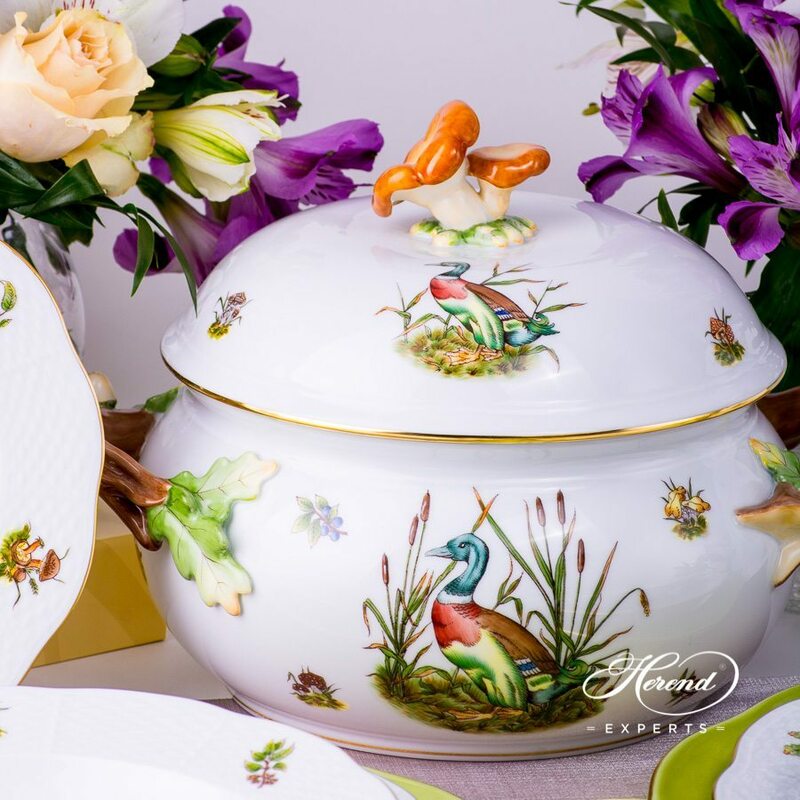 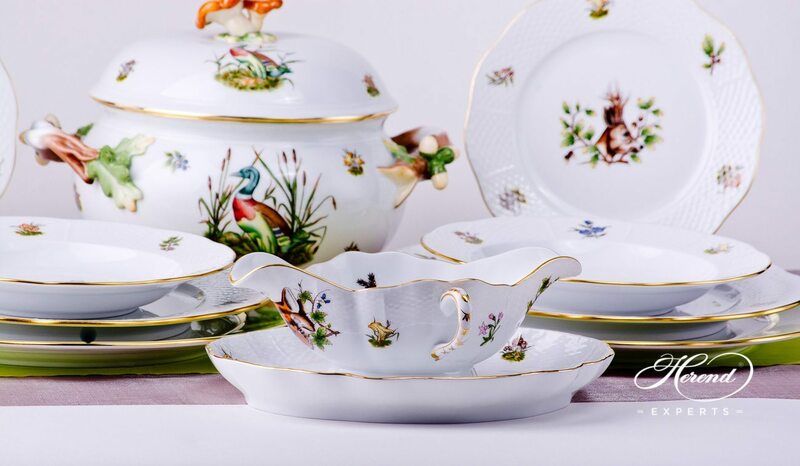 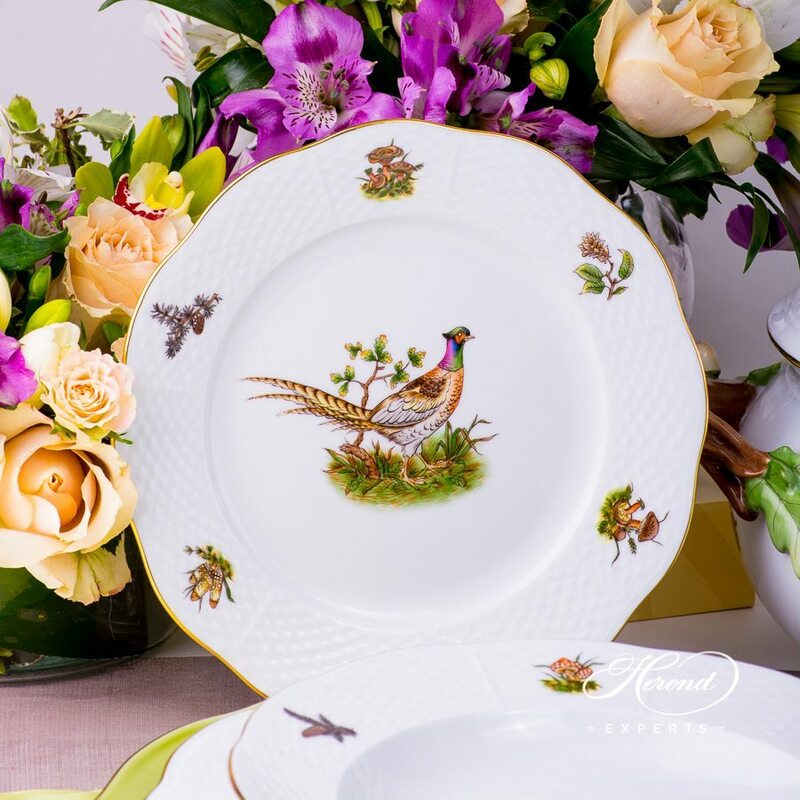 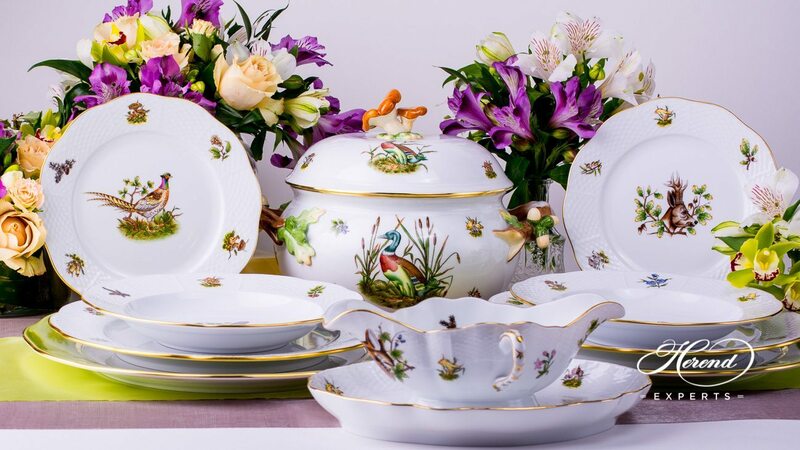 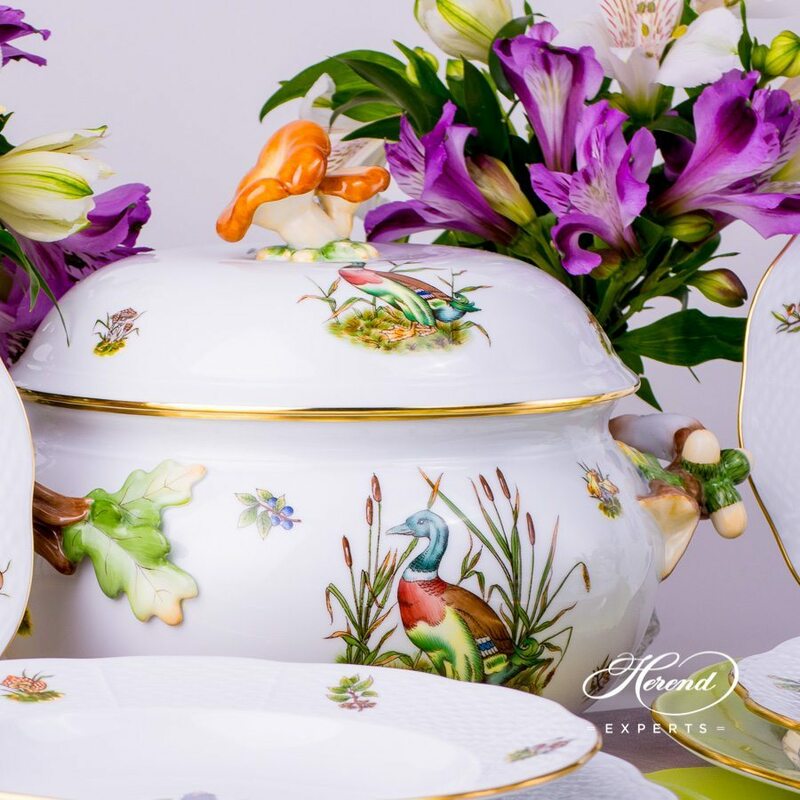 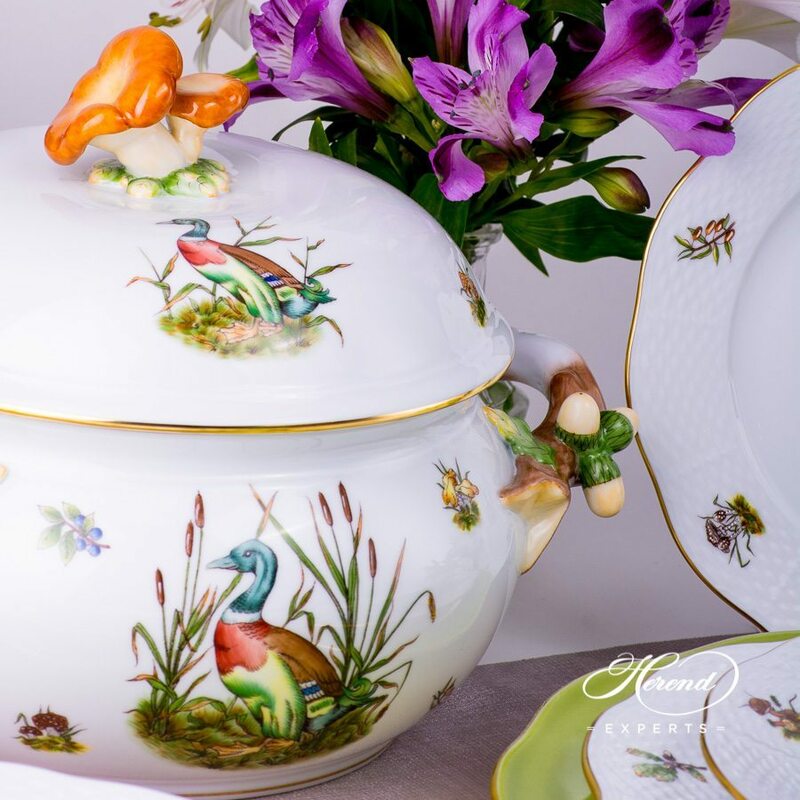 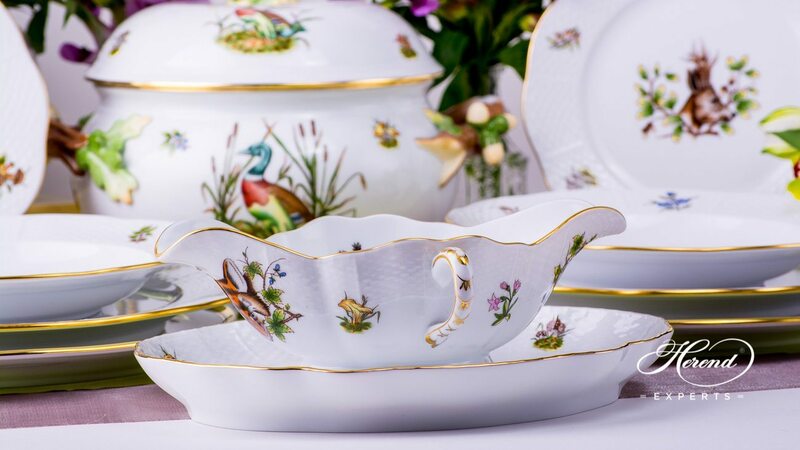 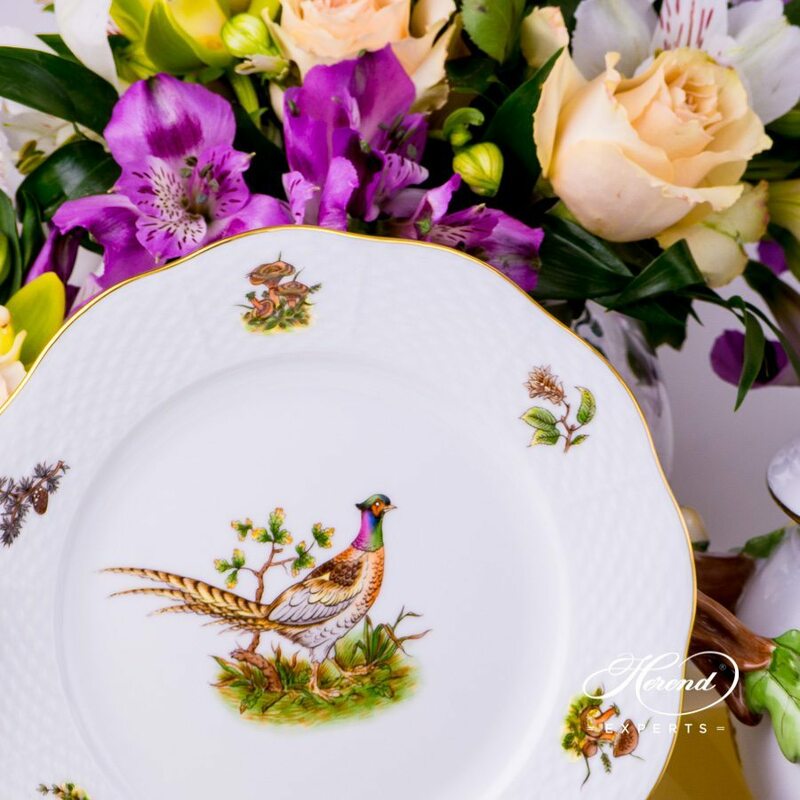 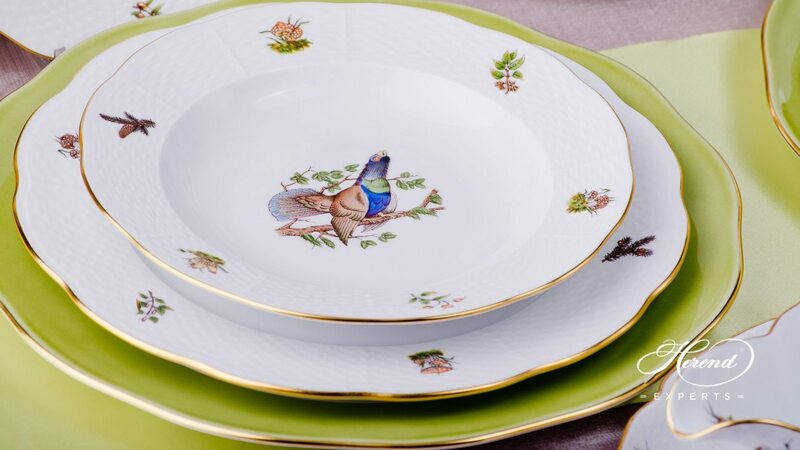 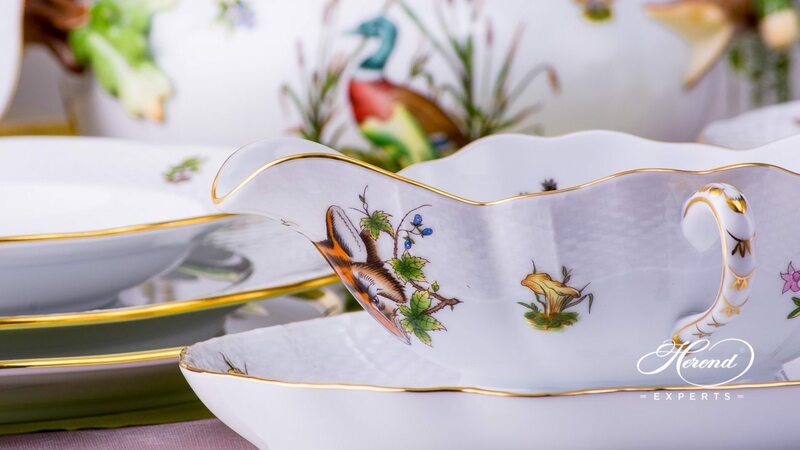 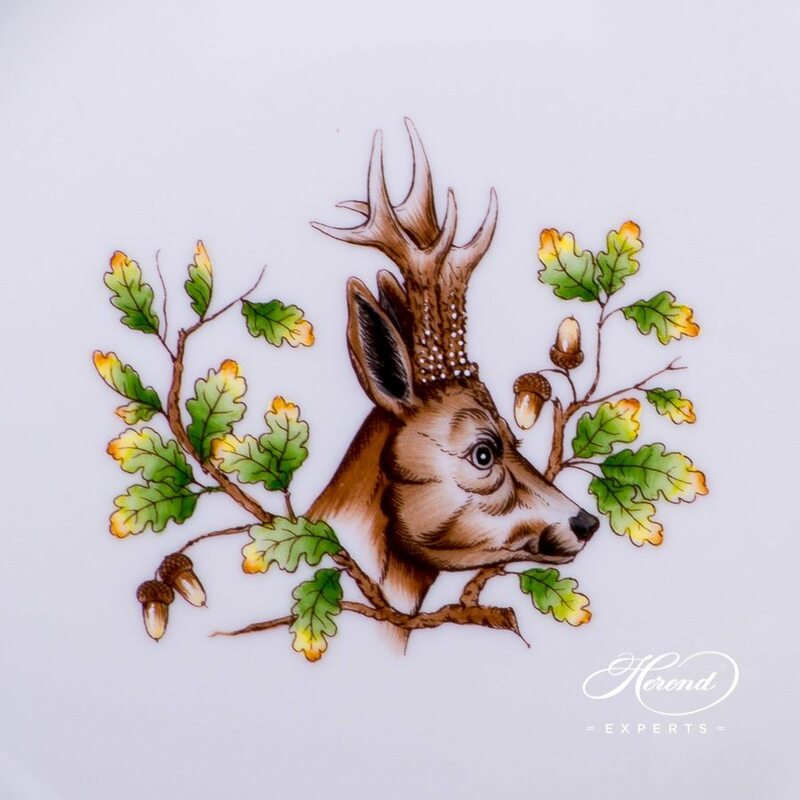 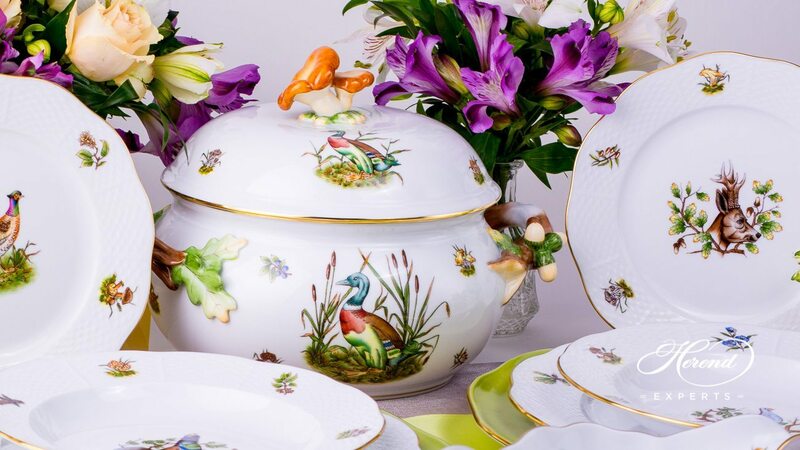 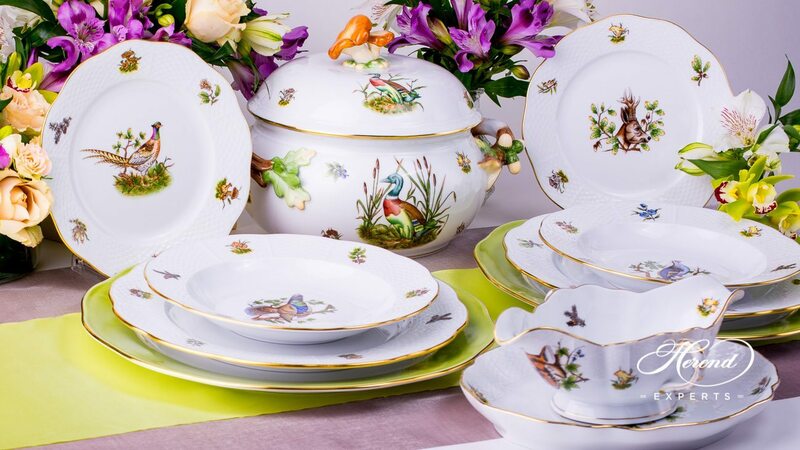 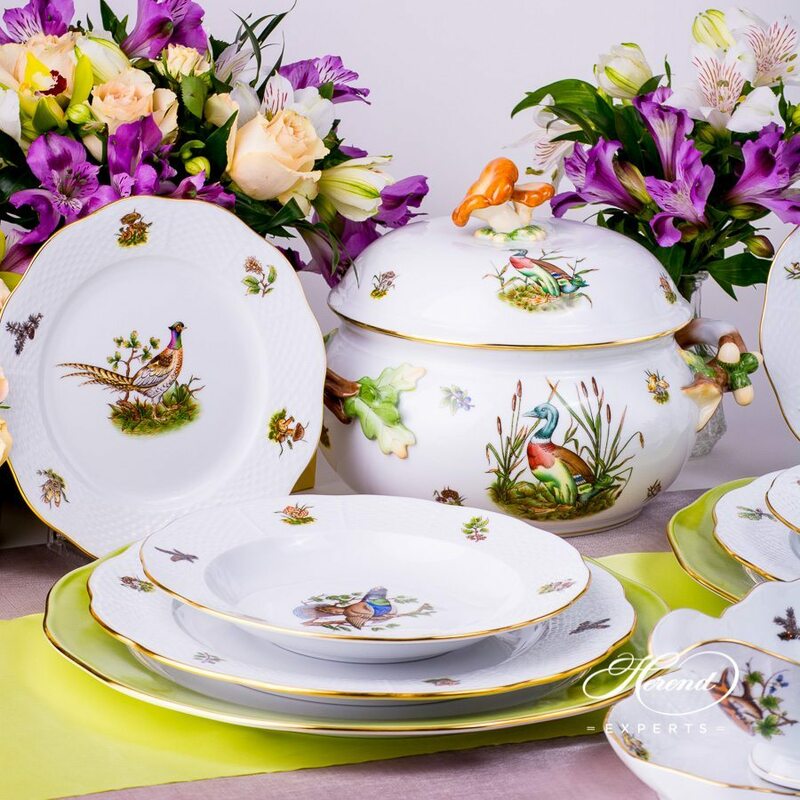 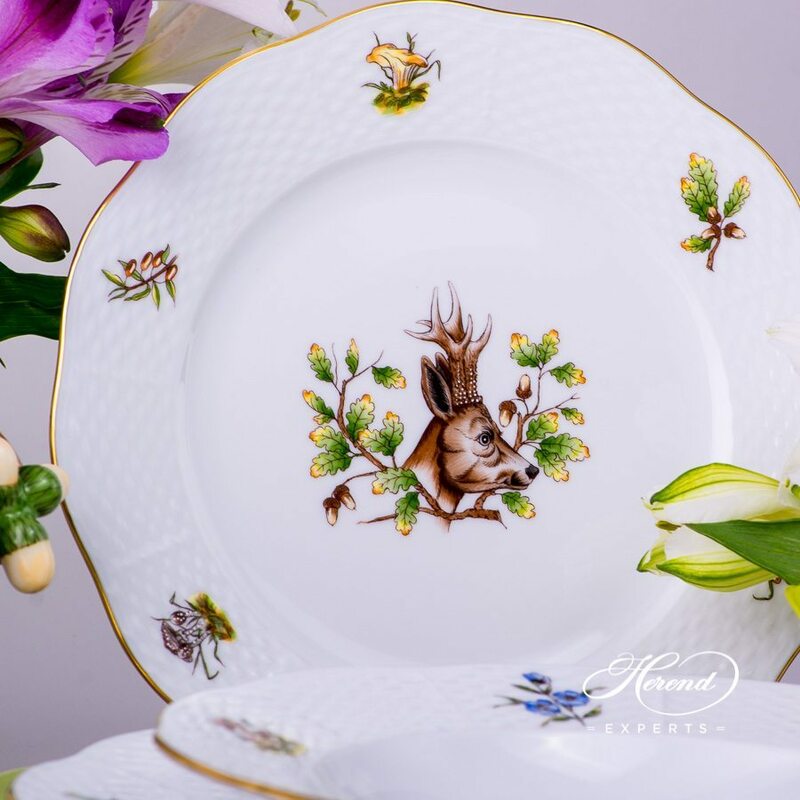 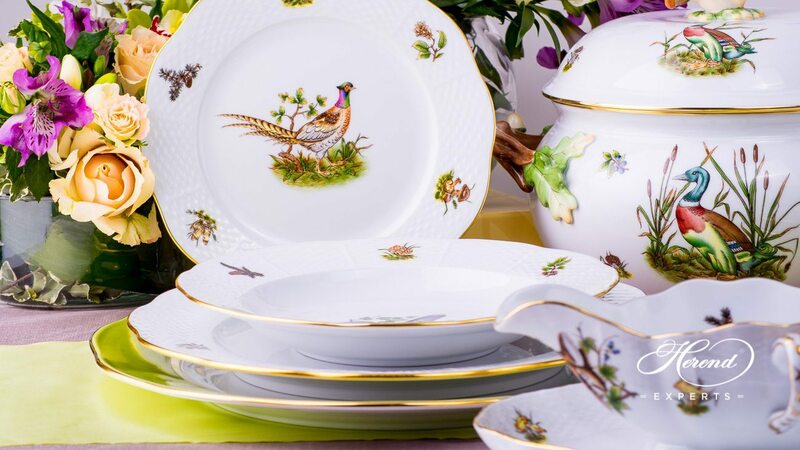 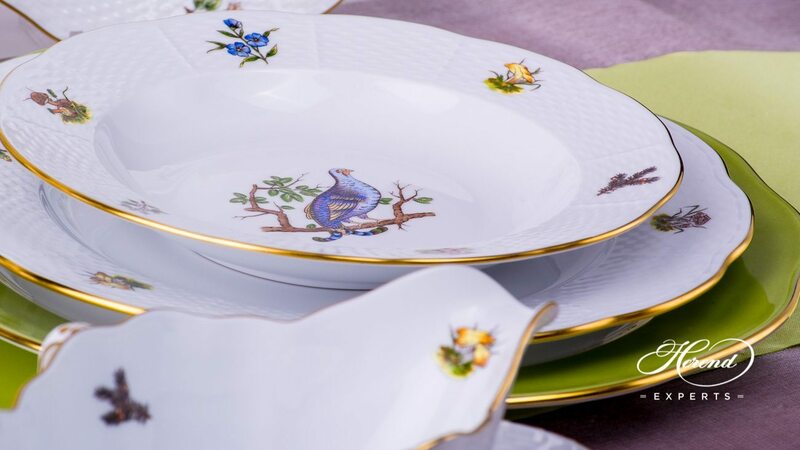 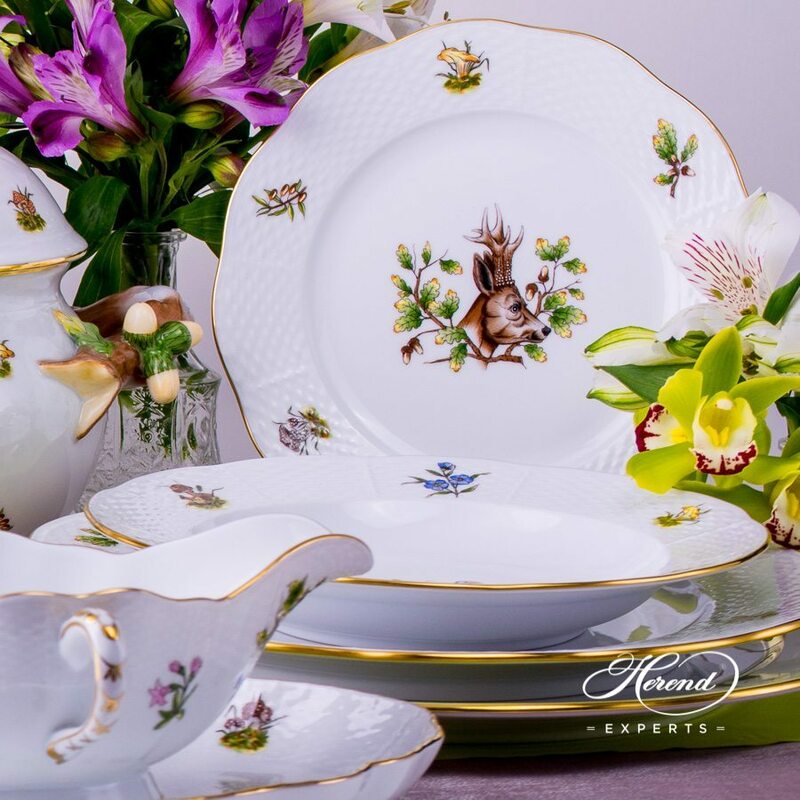 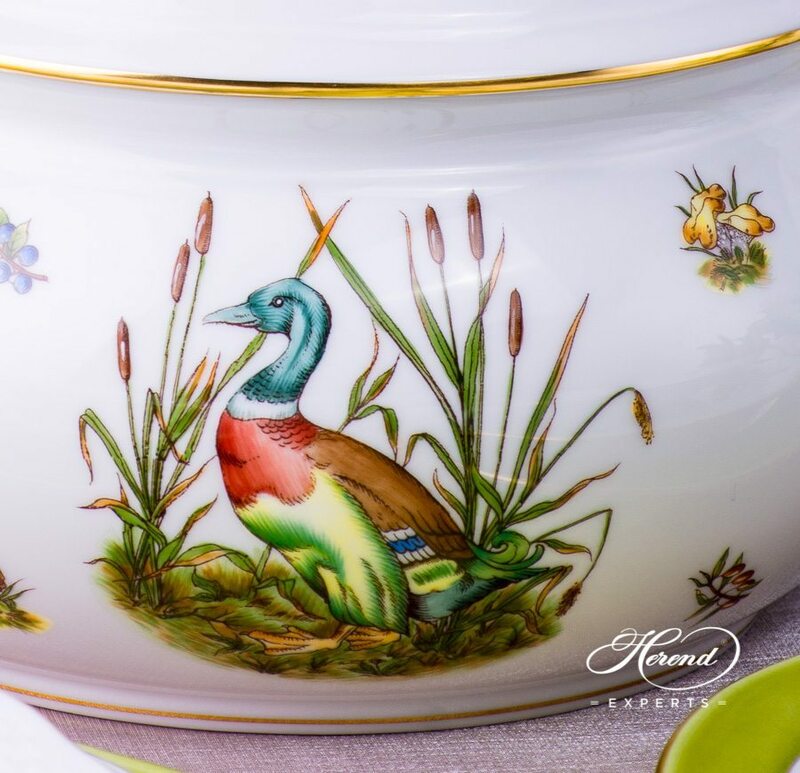 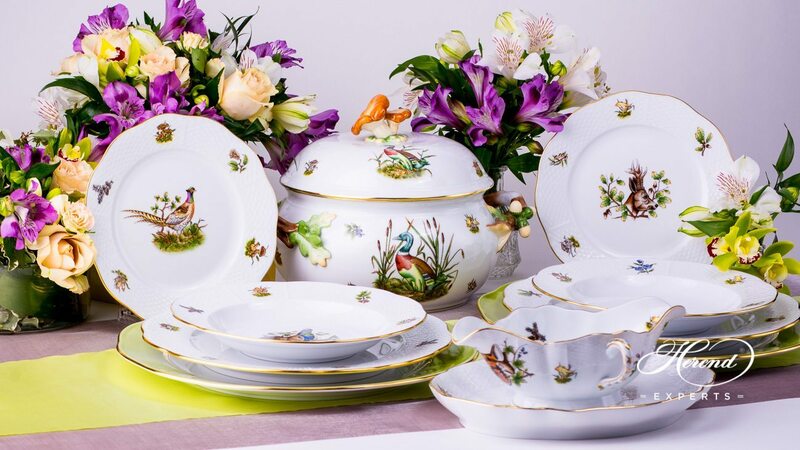 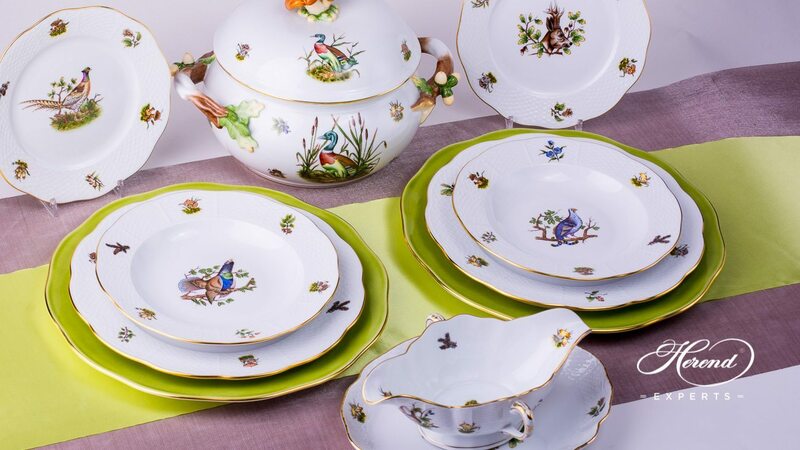 Herend fine china Dinner Set for 2 Persons - Herend Hunter Trophies CHTM pattern. 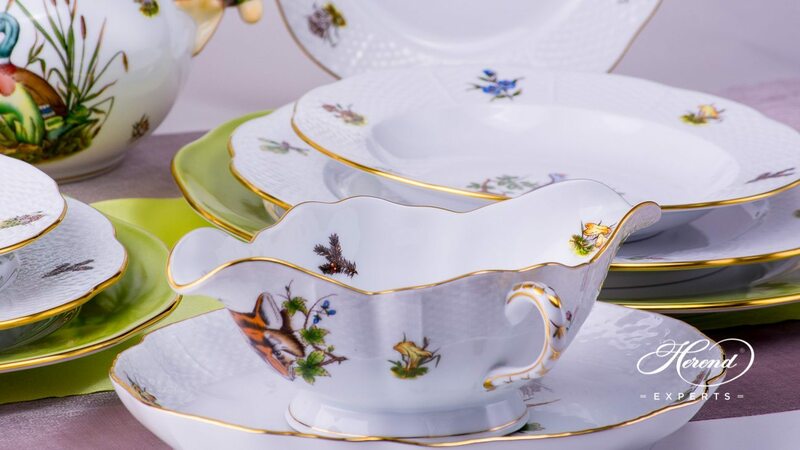 CHTM with Gilded Rim. 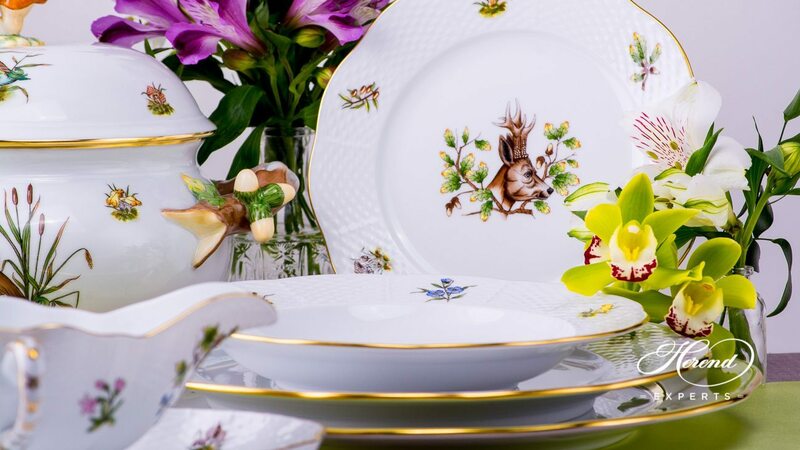 Hunter Trophies CHTM Dinner Set is available for more persons as well.